An hike in the number of farms and production are signs of a booming Texas olive oil industry. About 70 farmers throughout Texas produce olive oil, an increase from 24 in 2008. 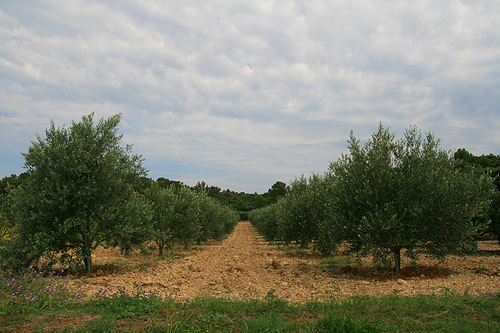 According to the Texas Olive Oil Council, 500,000 olive trees were planted in 2013, up from 80,000 in 2008, stated in a recent article by the Fort Worth Star-Telegram. As the world’s largest consumer of olive oil, the U.S. lags in production. About 97% of olive oil consumed is imported, primarily from Italy and Spain. According to the U.S. Agricultural Department, the U.S. imported $1.1 billion of oil, an increase from $400 million in 2000. Steve Coffman Jr., who owns oil wells in Eagle Ford Shale in South Texas and also 40 acres of olive trees, is optimistic about his investment in olives. “Nobody knows what these Eagle Ford wells are going to do,” he said. He compared the life’s estimates of his wells at 15 to 50 years, to his olive orchards, which can fruit up to 25 years. He added that olive trees can be replanted when no longer productive. Texans who buy local olive oil can take comfort in knowing that they are getting high quality oil, and that they are helping the booming Texas olive oil industry.